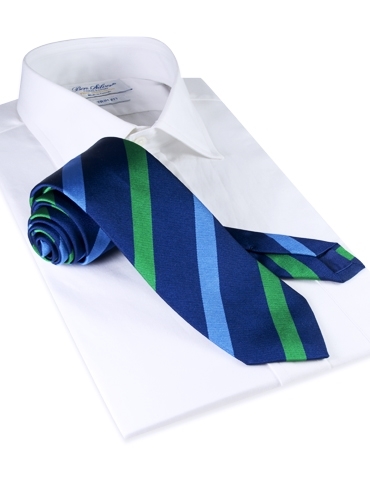 Vibrant multi bar stripe tie, made of pure silk. Handsewn exclusively for us in England. 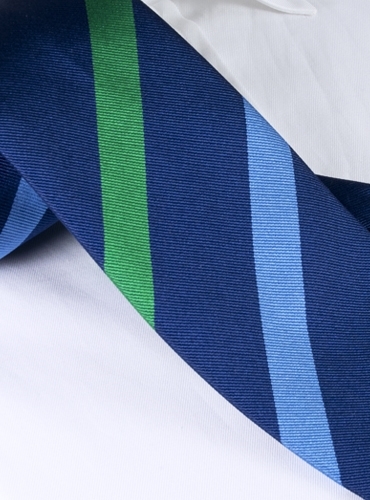 Shown here in: B-navy and grass.